Well that's us heading home, to wrap the presents, stuff the turkey and maybe even relax with a good book. We would like to wish you all a happy and peaceful festive season and we look forward to seeing you when the library re-opens on Wednesday 4th January 2012 at 2pm. Best wishes from all at Stromness Library. 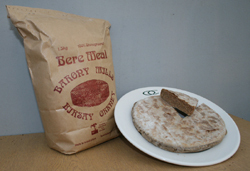 We close for the holidays at 5pm on Friday 23rd December and re-open at 2pm on Wednesday 4th January 2012. 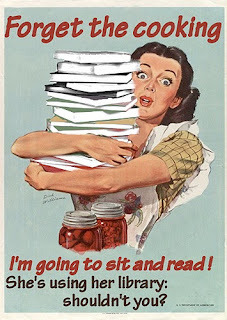 So you have a few days yet to come in and stock up with holiday reading. With two days of the Book Amnesty remaining there is still time to return those poor overdue library books to their place on the shelves - though the competition for the longest overdue return is hotting up, with a book returned to Kirkwall Library which a due date of 18th February 1956. Can anyone beat that we wonder?! The final Reading Group meeting for 2011 takes place tomorrow evening, Wednesday 21st December at 7pm, when we will be discussing The Young Visiters by Daisy Ashford. 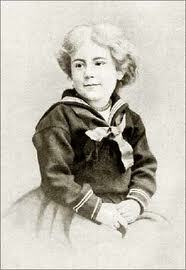 Written in 1890 by nine-year-old Daisy Ashford, The Young Visiters was first published in 1919 with a preface by J.M. Barrie, who describes it as 'a remarkable work for a child' suggesting that 'the novelist will find the tale a model for his future work'. The story follows the characters as they attempt to find love and make their way in late Victorian society, and the comic tale is brought to life by the author's observation of character and idiosyncratic spelling, which has been preserved from the original manuscript. As ever all are welcome to come along and join the discussion, and in addition to the usual tea and coffee we will be enjoying some suitably festive nibbles as well! Christmas trees at the issue desk. We're not entirely sure how he feels about it, but we just couldn't resist giving GMB a festive makeover too! Inspired by the return of a book to the library in Kirkwall which was due back in 1972, we are running a Book Amnesty for the month of December. 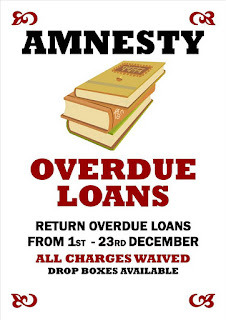 Although we don't operate a fine system, borrowers with overdue loans are eventually issued with an invoice for the cost of replacing the books. Invoices for non-returned items also incur an admin fee. In December all charges will be waived and both ourselves and the library in Kirkwall have boxes into which overdue items can be placed anonymously. If you have previously returned your overdues, but still have the admin fee to pay, you can bring in the letter we have sent you and you won't have to pay a penny - this means that you will once again be able to use our wonderful services, and start 2012 with a clear conscience! ﻿Since the Book Amnesty began the library in Kirkwall have already broken their previous record, with the return of a book due back in 1971! Can anyone beat that we wonder? Somewhere out there are poor lost library books just waiting to find their way back home, perhaps nestling forgotten at the back of a bookcase or hidden in a box of bric-a-brac in an attic. So have a look round at home for any library books that might be in hiding, and help them make it home in time for Christmas. However long they've been away we'll be very glad to welcome them back. Well, it seems it really is that time of year again, we are in the season of Advent, and tomorrow night (Wednesday 30th November) Stromness folk will gather at the Pier Head for the annual Christmas Tree Lighting Ceremony. The Salvation Army Band will get everyone in the mood playing a selection of Christmas favourites at 5.45pm then at 6pm Councillor James Stockan will open proceedings, followed by a Christmas message from the new minister of Stromness Parish Church, Rev Billy Burnside, who will switch on the festive lights. There will be Christmas Carols sung by Stromness Primary School pupils, and a community carol, Hark the Herald Angels Sing, led by the Stromness Church Choir and The Salvation Army Band. To keep out the cold there will be mince pies, mulled wine and fruit punch and the bairns can look forward to light sticks and festive sweets, and perhaps a visit from a special guest?! We'll be working, so unforunately won't make it along, but if the bonny tree and lights inspire you to get going with your own festive decorations, then pop into the library on your way home - we have lots of books to help you plan your decorating theme, from the traditional to the trendy. Sorry for the lack of posts this week, we've had problems with our internet connection over the last couple of days due to the weather. We seem to be back online at the moment so will quickly take the opportunity to remind you all that the Reading Group will meet on Wednesday 30th of November at 7pm to discuss Purple Hibiscus by Chimamanda Ngozi Adichie. As usual new, and old, members are very welcome to come along for an informal chat about the book, over a cup of tea or coffee. See you there- as long as we aren't blown away, struck by lightning, or snowed up in the meantime! If, like us, you are in denial about the rapidly approaching festive period - despite the arrival of tinsel and Santas in the shops in October, we have refused to set up our display of Christmas books - then you will be as shocked as we were to discover that it really is time to start preparing, for tomorrow is Stir-up Sunday. may of thee be plenteously rewarded. 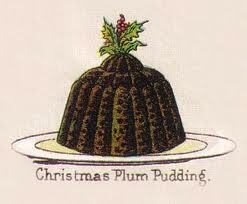 We can therefore put it off no longer, and have brought out the Christmas recipe books for those of you still looking for the perfect pudding recipe or thinking of trying something a bit different this year. We have lots to choose from, including traditional recipes from Mrs Beeton and Delia Smith as well as some with a local flavour from Alan Bichan and Liz Ashworth. We also have lots of books full of ideas and tips to help you get ahead with your festive planning and preparations, so pop in and borrow one today - but we promise the library will remain a tinsel and Santa free zone until at least the start of December! We continue the darker mood, set by last month's author Sheila Quigley , with some tartan noir from Ian Rankin. 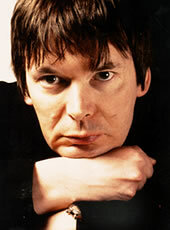 Creator of the famous Inspector Rebus character, Ian Rankin began writing novels while he was supposed to be working towards a PhD in Scottish Literature. His first Rebus novel was published in 1987, and the seventeen books in the Rebus series are now translated into twenty-two languages and are bestsellers on several continents. Many fans were dismayed when Rankin allowed Rebus to retire, but Rankin's most recent, post-Rebus titles, The Complaints and The Impossible Dead have introduced a successor, in the form of Inspector Malcolm Fox. Fox works in the Complaints and Conduct Department, known colloquially as 'The Dark Side', or simply 'The Complaints'. They're the cops who investigate other cops, and when Fox's investigations uncover conspiracy, cover-up, and brutal murder, it isn't always clear who is on the right side of the law. Earlier this year Ian Rankin was linked to a real-life mystery, as several venues around Edinburgh found they had been targeted by an anonymous paper sculptor, who left breathtakingly intricate models,cut from the pages of a book, placed in public spaces. 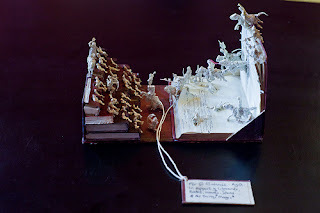 Edinburgh's Filmhouse Cinema received a model of a cinema with a tiny paper Rankin sitting in the audience drinking a bottle of Deuchars and warriors on horseback leaping from the screen. 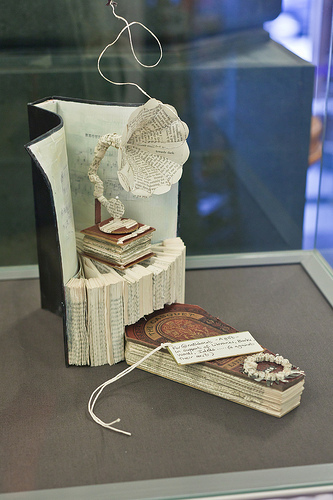 National Library of Scotland received a model of a coffin and a gramophone sculpted from a copy of Rankin's novel Exit Music. 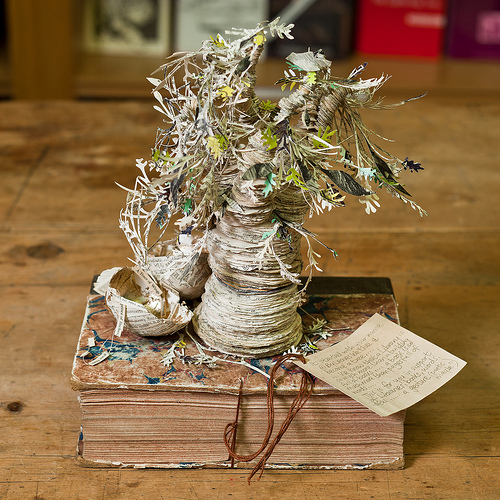 The Scottish Poetry Library found an intricate paper tree on a table, alongside a note saying "this is for your support of libraries, books, words and ideas" and although the Poetry Library sculpture has no obvious link to the author, Exit Music includes a scene at the venue. Despite rumours that Ian Rankin himself was behind the mysterious sculptures, the author denied any involvement, but did say that "it has to be someone who knows my work". 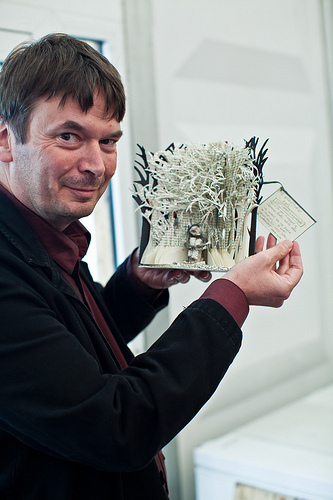 The sculptures have appeared in many more venues around the city, including the one pictured below with Ian Rankin, which was left for UNESCO Edinburgh City of Literature during the Edinburgh International Book Festival. 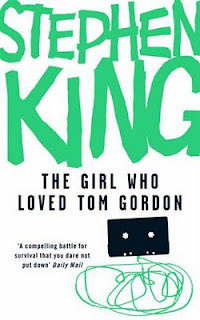 Just a quick reminder that the Reading Group will meet tomorrow evening, Wednesday the 9th of November, at 7pm. We will be discussing The Girl Who Loved Tom Gordon by Stephen King and any new folk who would like to come along will be made very welcome. The group meetings are informal and friendly and we'll even make you a cup of tea or coffee! Let's hope this morning's fine weather holds for tonight, when many folk across the country will be lighting bonfires, watching firework displays and enjoying such bonfire night favourites as baked tatties, treacle toffee and toasted marshmallows. 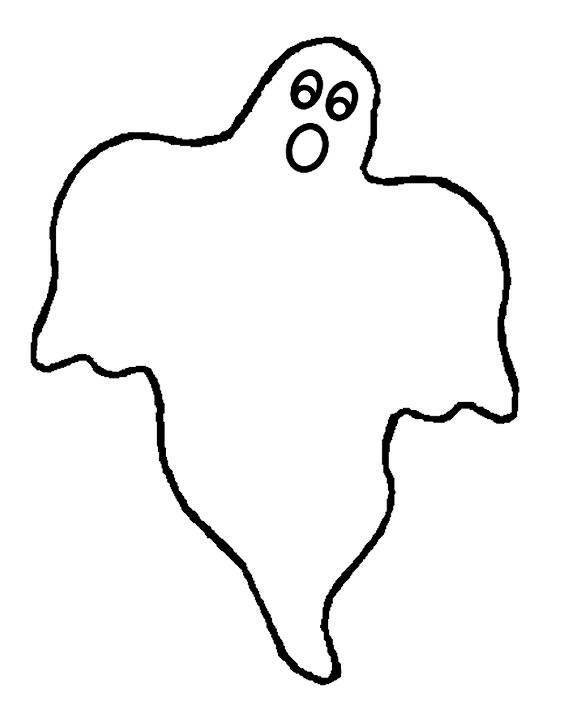 By 1978, in Under Brinkie's Brae, GMB ' is glad to say that nowadays children have, mostly, stopped saying the old ritual fiery words at the door. Instead they say, in their dewy voices, " A penny for me pop". ' For those of you still wondering at the significance of the 'fiery words' all will be made clear when we tell you that, said with an Orcadian accent ,'pop' becomes 'pope'. GMB wonders 'in what bigoted religious brain, sometime in the mid-nineteenth century, the phrase first took root', but it is clear that by the twentieth century the anti-catholic sentiment behind the tradition had been largely forgotten. We wonder if any Stromness children will call by the library with their pops today? It has certainly happened in previous years, although the tradition is dwindling, as families move away and those new to the town do not know of the old ways. We have a stash of small change ready, just in case, though we're not sure what the going rate is these days? When GMB was a boy in the 1920s he 'got a ha'penny ( an old half-penny)' and when he was being disturbed from his writing in 1978 by 'the sweet little turnip-bearing tyrants' two pence seemed 'an appropriate equivalent'. 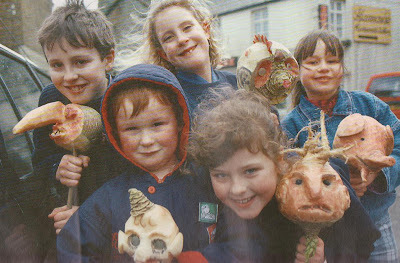 In case you were wondering just what a pop looks like below is a picture of some Stromness bairns and their pops from 1991. As you can see the pop can come in any shape or form imaginable and I suspect the parents, or older siblings, who carve them have as much fun as the children! Photograph copyright Keith Allardyce, taken from the wonderful book on Stromness 'Sea Haven' by Bryce Wilson and with a foreword by George Mackay Brown. Hard to believe but tomorrow is the last Wednesday of the month, which means that it's time for the Reading Group to meet again. This month we will be discussing a selection of short stories by Katherine Mansfield who in her tragically short life produced writing which Virginia Woolf described as "the only writing I have ever been jealous of ". The stories we are going to discuss are; The Garden Party, Bliss, Prelude,The Woman at the Store, The Daughters of the Late Colonel, and Taking the Veil. If you are interested in finding out more about Katherine Mansfield's life and work Claire Tomalin's biography of the writer Katherine Mansfield : A Secret Life is available for loan, along with several different volumes of the short stories. We are feeling a bit excited as the revised plans for the redevelopment of the Stromness pierhead - which includes our lovely new library - go on display to the public tommorow, Wednesday 21st September. The revised plans, by Malcolm Fraser Architects, will be on display in the Stromness cash office until October 5, when full planning permission will be sought at the Orkney Islands Council's planning and protective services committee meeting. The original plans were revised based on input from the public following the initial presentation of the plans in March. As well as the new library the development will include the creation of two new retail units; a new office space, which will be shared with police; and formal and informal meeting areas. For those of you who can't make it along to see the plans in person here is a wee look, courtesy of The Orcadian website. The new library is the building, running from street to harbour, on right of diagram. With the weather more like winter than autumn, and the nights getting longer, you can at least take pleasure in curling up with good book. This month's author, Jodi Picoult writes novels which centre on family, relationships, and the balance of love. Picoult's riveting plots raise questions and issues for the reader, as characters face moral dilemmas, often touching on topical areas of controversy involving religion, crime and politics. It was lovely to meet some of the staff from the Shetland Library this afternoon when they popped into Stromness Library during their visit to Orkney Library and Archive, as part of the Librarians on Loan project supported by Scotland's Islands. 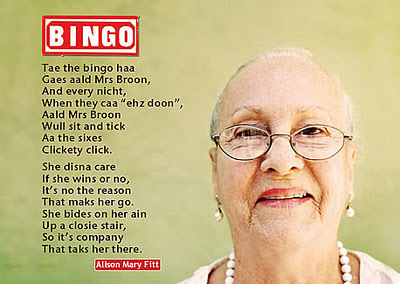 This evening at 7.30pm in the Orkney Library and Archive in Kirkwall, there will be friendly rivalry in the air as the Shetland lasses take on their Orkney counterparts in an Orkney vs. Shetland open-mic poetry night. Everyone is invited to come along and read their favourite local poems - or just come along and listen! Entry to the event is free and the evening includes music and refreshments, and as an extra incentive to take part, everyone who reads a poem will get a free copy of Bards in the Bog. The Stromness Library Reading Group got off to a lively start after our long summer break when we discussed The Poisonwood Bible by Barbara Kingsolver. At over 500 pages this was not a light read in any sense but the group found much to praise and to ponder in Kingsolver's handling of her tale, which traces the interwoven histories of an American missionary family and the Belgian Congo. The Price family find themselves changed forever by their experiences in a place where human nature and the natural world are experienced at their extremes, and where a growing sense of foreboding ends in tragedy for both the Prices and the Congo. Our next meeting will be held on Wednesday 28th September at 7pm when we will be discussing a selection of short stories by Katherine Mansfield. New members are very welcome and as always there will be tea and coffee provided. Just a quick reminder that the curtain comes down on our Circus Stars Summer Reading Challenge tomorrow when there will be a Treasure Hunt in the Orkney Library and Archive in Kirkwall, for everyone who has completed the challenge. Solve the clues to find your way to your Circus Stars prize. You can go along anytime tomorrow (Saturday 27th August) to crack the code and collect your award. So anyone who has read their six books, but still needs to return them and collect their stickers, can go along to the library in Kirkwall tomorrow with their books and Circus Stars record card, to complete the challenge, take part in the Treasure Hunt and collect their award. If you have completed the challenge but can't make it through to Kirkwall on the day please let us know and we can arrange to post your award out to you, or for you to collect it from Stromness Library. Well the summer may be nearly over, with the Shows past and the schools going back next week, but before you get too despondent just remember all the good things a change of season brings. With the nights fair drawing in our thoughts turn to how to fill those long autumn and winter evenings. The Community Learning Course Guide was published this week, as well as the perennial favourites such as yoga, cookery and various crafts, we notice some new and intriguing additions this year including Gregorian Chant for Beginners, The World of Beowulf and So you want to be a Councillor? With so many courses to choose from, at a number of different locations throughout Orkney, there's something for everyone. If you haven't already got a copy of the Course Guide they are available at both Libraries, or you can even download a pdf version from the Orkney Islands Council website. Another welcome return for autumn is the Stromness Library Reading Group which will have its first meeting, after an extended summer break, on Wednesday 31st August at 7pm in the exhibition room of the Stromness Library. 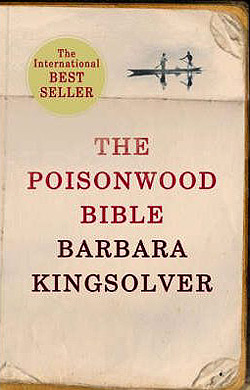 The book we will be discussing is The Poisonwood Bible by Barbara Kingsolver and copies are available from the library if you need to borrow one before the meeting. New members are always very welcome so do come along and join in the friendly, informal discussion with fellow book lovers - tea and coffee provided! Inspired by the recent visit to Stromness by the Tall Ships our author of the month for August is Patrick O'Brian, best known for his series of novels about the Royal Navy during the Napoleonic Wars, which centred on the friendship of English Naval Captain Jack Aubrey and the Irish–Catalan physician Stephen Maturin. 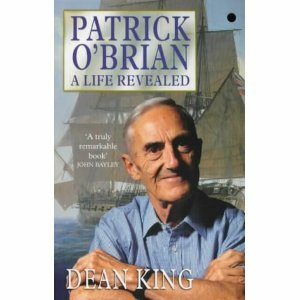 As well as the novels we also have a copy of Dean King's biography Patrick O'Brian: A Life Revealed which offers an intriguing portrait of the famously secretive writer. Well the sun shone for the Dounby Show and we hope all of you who went along had a great day among the animals and amusements. We thoroughly enjoyed ourselves and came home tired but happy, full of homebakes and ice cream and a few pounds poorer after all those prize draw tickets (all for good causes) and shots on the bottle stall - we were lucky for once and won a half bottle of gin (so that's the library Christmas doo sorted out then!). Back to work today of course, and although the County Show takes place on Saturday we will be open as usual. If you have had your fix of all things agriculatural and decide a quiet afternoon in with a good book is in order then pop along and see us, we'll be glad of the company. It's often said that the County Show marks the end of the summer and the next thing we can look forward to is winter and Christmas - though with the weather we've had so far this 'summer' will we actually notice the difference?! Anyway, as well as the obligatory reminder that the "nights are fairly drawing in " we also want to point out that the school summer holidays are not quite over yet and there is still time for our young readers to complete their Circus Stars reading challenge. So visit the library, get reading and those final sets of stickers can be yours - as well as the chance for all who complete the challenge to take part in a Treasure Hunt at the Kirkwall Library on Saturday 27th August and collect their Circus Stars award. It's show season again and we are crossing our fingers that the sun will shine and the rain stay away all week. Thursday 11th August is the Dounby Show which is celebrated by a local public holiday, so both the Stromness Library and Orkney Library and Archive in Kirkwall will be closed for the day. Instead of stamping books we'll be donning our sunhats and enjoying a day out among the livestock and stalls. This year, in addition to the usual delights of the Sheep Sheering Competition, the Highland Dancing Demonstration and of course the refreshments in the Pavilion, we are promised the Scottish Terrier Racing Team, a Quad Bike Agility Challenge and Award-Winning Chainsaw Creations! If you would like to find out more about the history of the show, and the Orkney West Mainland Agricultural Society which runs it, then you may like to come and have a look at our copy of Showyard on the Heather by George T. Wylie. which tells of the show's development from the first "Show of Stock to be held at Dounby on Thursday 9th July 1891" to the Centenary celebrations of 1991. 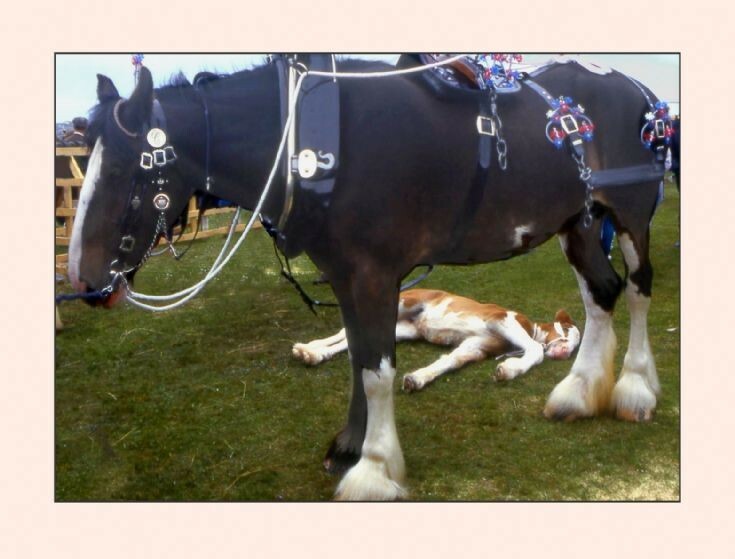 We hope you enjoy your day out at the show, just remember to pace yourself though, otherwise you could find all the excitement gets too much for you! Having asked you to share your favourite Orkney recipes with us we discovered that you would find that very difficult as our email address wasn't working! So apologies if you have been in touch and are wondering why we haven't got back to you. We how have a new email address stromnesslibrary@orkney.gov.uk and would love to hear from you so do please get (back) in touch, especially if you have any yummy recipes to share. With memories of the Tall Ships and Shopping Week slowly fading and more than a week before the Dounby Show there is time to catch our breath and consider the other pleasures of summer. The weather may be somewhat temperamental but even if barbecues end up indoors, and picnics involve woolly hats and waterproofs, this is the time to enjoy Orkney produce at its best. Whether you need inspiration, are looking for new ways to cook old favourites, or are in search of the definitive recipe for bere bannocks or clootie dumpling then our selection of Orkney cook books is bound to have what you're looking for. In our quest to promote the importance of public libraries we are not above bribing you with food - we have been known to tempt unsuspecting passers-by into the library on the promise of a certain staff member's famous meringues! We would love to hear your favorite recipes using local produce - we might even have a shot at making them and share the results with you if they are suitably mouthwatering. Every month we like to choose a different author and create a small display of a selection of their titles with a short biography. This month's author is Irène Némirovsky a Jewish novelist and biographer born in the Ukraine, who lived and worked in France. 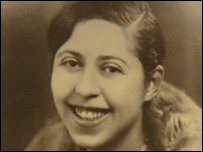 Although recognized as a major author, the Nazi occupation of France put an end to her publishing career and on July 13, 1942, Némirovsky (then 39) was arrested as a "stateless person of Jewish descent" by French police under the regulations of the German occupation and subsequently sent to Auschwitz where she died a month later. Némirovsky is now best known as the author of Suite Française an unfinished work made up of two novellas portraying life in France between June 4, 1940 and July 1, 1941, the period during which the Nazis occupied Paris. 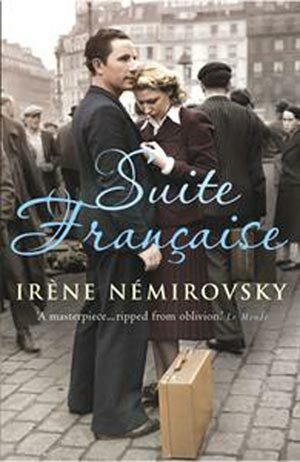 Written during the period it describes, Suite Française is considered to be a remarkable literary accomplishment - Némirovsky manages to evoke the domestic reality and personal trials of the ordinary French citizens during the occupation with considered reflection, while she herself was living through the same turmoil. The story of how Suite Française came to be published is also remarkable. The notebook containing the manuscript, which Némirovsky had managed to pass to her oldest daughter Denise, before her arrest, remained unread for fifty years as Denise believed it was a journal or diary of her mother's, which would be too painful to read. However, in the late 1990s, having made arrangements to donate her mother's papers to a French archive Denise decided to examine the notebook first. Upon discovering what it contained, she instead had it published in France, where it became a bestseller in 2004. Young people with an interest in Stromness and its history are invited to get involved in an exciting new project running throughout the summer. The Stromness Hometown project is looking for young folk interested in recording interviews, script-writing, sounnd editing, photography, research, blogging, and who are up for a creative challenge, to build a soundscape of the town. During a series of drop-in workshops, running on Saturdays from July to September 11am-1pm and 2pm-4pm, the project aims to develop and produce an audio guide to Stromness, which folk can listen to as they walk through the street. The project launch takes place on Saturday 2nd July, at the Maritime Studies College (aka the Nav School ) on the pier behind Argos, from 11am-1pm. The organisers stress that everyone's input is welcome, whether you can come along for one day or all of the days, so don't worry if you are going to be away for some of the dates. For more information you can find Stromness Hometown on facebook. So the summer holidays are here at last, hopefully to be accompanied by the summer weather we have all been patiently waiting for! For our younger readers the start of the summer holidays also means the start of this year's library Summer Reading Challenge and this year we are off to the circus with Circus Stars. 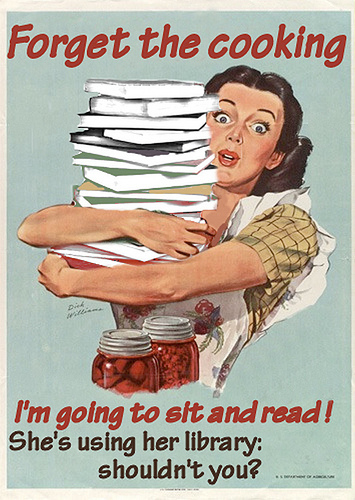 The challenge is to read six books during the holidays. For each two books you read there is a set of stickers to collect which you can use to decorate your very own circus stage and help the Circus Stars to progress through Practice and Rehearsal to their ultimate goal – Showtime! Visit the Circus Stars website at www.circus-stars.org.uk to join in the fun with games and activities. Register with the site and create your own avatar, keep track of the books you are reading and share your thoughts about them with other Circus Stars, you may even meet some famous authors. So come along to the library and pick up your Circus Stars joining card and stage set, get practicing those circus skills - and enjoy reading some great books this summer. 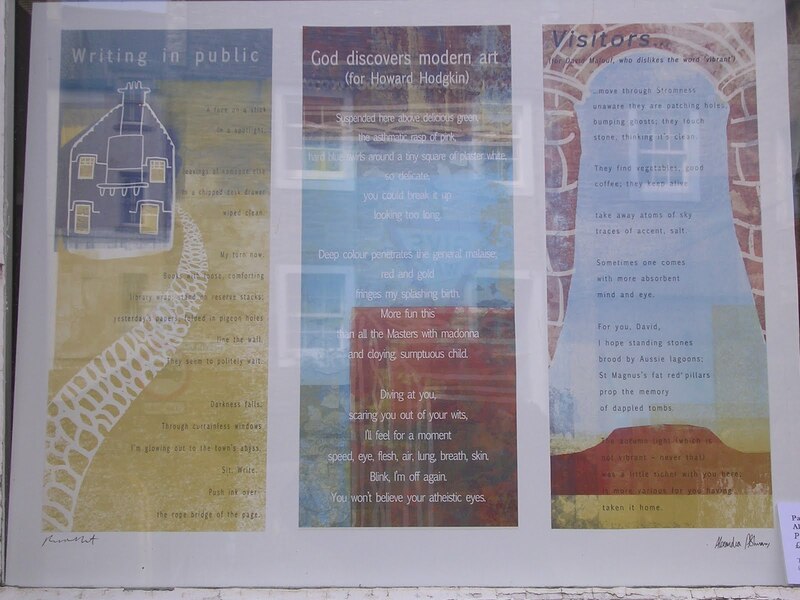 You may have noticed something a little different about us recently as we are delighted to be part of the Open Windows exhibition currently running along the street in Stromness. This exciting and inovative project has placed work by 45 artists in 45 windows along the street, from The Pierhead to The Museum. Each of the participating windows is marked with brightly coloured streamers attached outside - just so you know which windows you are supposed to be looking in! Nousts by Yvonne Gray - a limited edition digital print on hand made Japenese paper. The exhibition runs until 26th June so you still have plenty of time for a wander along the street - what better way to pass the time between festival performances? The isle may be full of noises but the street is full of art. Today sees the start of the St Magnus International Festival which begins with a production of The Tempest including local performers. This year the festival takes its title from a line in The Tempest and a look at the events for festival goers in Stromness suggests that amongst the "noises" will indeed be "sounds and sweet airs, that give delight and hurt not". On Saturday 18th June Festival Poet Don Paterson will give a reading at the Pier Arts Centre at 11am; pianist Alessandro Taverna will perform works by J.S. Bach, Beethoven, Debussy and Stravinsky in the Stromness Town Hall at 2.30pm; and at 5pm in the Stromness Academy Theatre there will be A Johnsmas Foy entitled "The Inter-County". On Sunday 19th June at 2.30pm the Badke Quartet will perform works by Tomkins, Peter Maxwell Davies, Beethoven and Ravel, in the Stromness Town Hall; while at 4.30pm you can enjoy Poems with tea and cake in the Stromness Hotel when poets Pamela Beasant and Jen Hadfield who will be joined by participants from the inaugural Orkney Writers' Course to read some of the works created during the course. So a full weekend of events to be enjoyed, and if you need somewhere to collect your thoughts, send a hasty email review, or read some more poetry (we have titles by Don, Pamela and Jen in stock) then pop in and tell us what we have been missing! We hope you've all been enjoying the lovely weather Orkney has been experiencing recently - okay we know it's raining today but maybe it's just a shower?! After spending a fine spring evening engaged in a lively discussion of The Junior Officers' Reading Club the Stromness Library Reading Group has decided to avoid the dilemma of choosing to spend further precious sunny evenings in the library by taking an extended summer break. Therefore there will be no Reading Group meetings during May, June or July - our next meeting will be Wednesday 31st August at 7pm when we will be discussing The Poisonwood Bible by Barbara Kingsolver. In the meantime let's hope we have many more long summer evenings of reading in the sun to look forward to! We thought we ought to alert you to the fact that, due to essential maintenance to our IT systems, we will have no internet connection tomorrow Saturday 30th April. But although you won't be able to get online, check the online library catalogue or catch up on with library goings-on via our blogs, twitter or our Facebook page, you will still be able to borrow books and browse our selection of newspapers and magazines. Apologies for the disruption to our normal service which will resume on Tuesday 3rd May. "Tuesday?!" I hear you cry, well the other piece of bad news I must impart is that, for the second week in a row, Monday is a public holiday and so we will be closed. Although I know you will miss us, it does give you an extra day to recover from the Royal Wedding celebrations - a trip up the hill to wash your face in the May Day dew might be just the thing! What with all the excitement of the Orkney Book Festival last weekend, the Easter Monday holiday and perhaps one too many chocolate eggs, we nearly forgot to remind you about this month's Reading Group meeting. Tomorrow evening we meet at 7pm in the Exhibition Room to discuss The Junior Officers' Reading Club by Patrick Hennessey. We hope our reading group meeting will not involve any violence, explosions or gore - there will however be tea and coffee! See you there. Today Friday 15th April, sees the start of the first Orkney Book Festival. The weekend of events kicks off with a Book Fair at the Orkney Library in Kirkwall. Featuring books for sale by Scottish Island Writers from a range of island publishers and booksellers, the fair also includes a sale of withdrawn library books. Also in the Orkney Library today at 3.45pm Ragnhild Ljosland will give a talk on Orkney writer Christina Costie. Then this evening at the Pier Arts Centre, Stromness, at 7.30pm, Ron Ferguson will give the 2011 GMB Memorial lecture on George Mackay Brown's spiritual journey. The Book Fair continues in the Orkney Library tomorrow Saturday 16th April, from 9.30am-5pm. Also at Orkney Library at 2pm Alayne Barton from the Islands Book Trust will give a talk on the work of the trust, then at 4pm Simon Hall will give a talk entitled From fjord to island foreshore - three neglected treasures of the Orkney Room. Saturday's events will round off with an evening of readings and music by Lise Sinclair, John Aberdein and Orkney writers and musicians, at the Cromarty Hall, St Margaret's Hope, South Ronaldsay starting at 7.30pm. The Festival concludes on Sunday evening in the Lynnfield Hotel, Kirkwall when Kevin MacNeil and Nalini Paul (GMB Writing Fellow 2009-10) will join with local writers and musicians for an evening of readings and music. Entry to Okney Book Festival events costs £5 (£3 concession) payable at the door, and a Whole Festival Pass is also available for £20 from any of the events or from the Orkney Library. It's going to be a busy weekend! 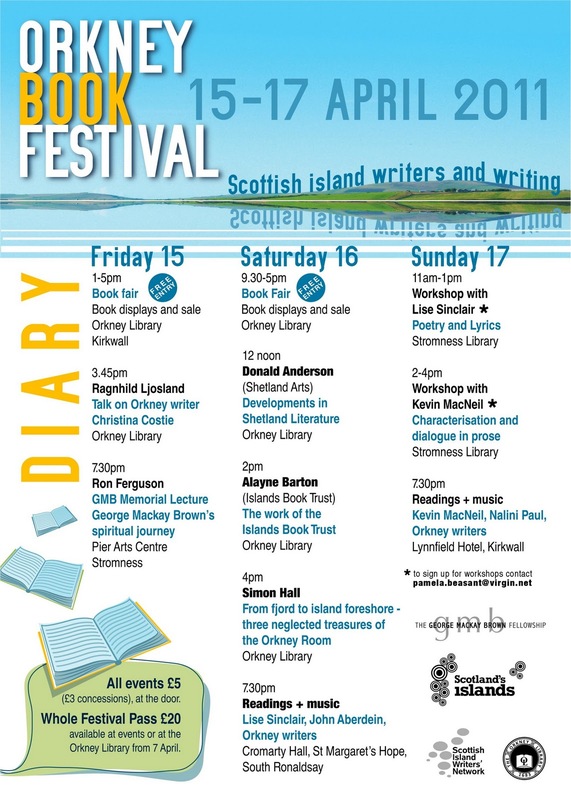 We are very excited about next weekend's Orkney Book Festival, organised by the George Mackay Brown Fellowship and supported by Orkney Library, Scottish Island Writers' Network and Scotland's Islands. The Stromness Library Reading Group will meet tomorrow evening (Wednesday 30th March) in the exhibition room of the Library at 7pm. 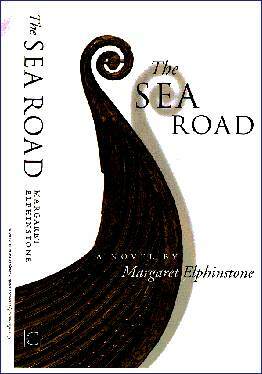 The book we will be discussing is Margaret Elphinstone's The Sea Road, an historical novel retelling the Viking exploration of the North Atlantic through the eyes of the extraordinary Gudrid. We are looking forward to a lively discussion and will let you know what the group thought of the book. New members are always very welcome, so come along and join in - tea and coffee provided! 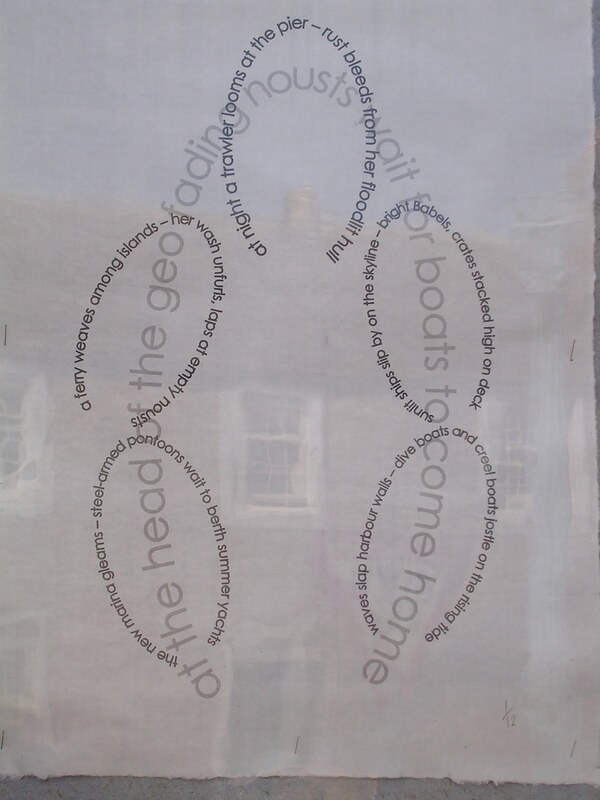 Stromness poet Yvonne Gray will be leading a poetry workshop in the exhibition room of Stromness Library today from 2-4pm as part of the Shadows of Our Ancestors weekend of events organised by Historic Scotland. Tomorrow (Sunday 20th March) there will be a guided visit to the Ring of Brodgar and Barnhouse Settlement from 10-12noon followed by another poetry workshop in the St Magnus Centre, Kirkwall from 2-4pm. The work generated from the weekend will culminate in a poetry reading at the Pier Arts Centre and an installation of words and neolithic artefacts in and around the Heart of Neolithic Orkney World Heritage Site on World Heritage Day, Monday 18th April. 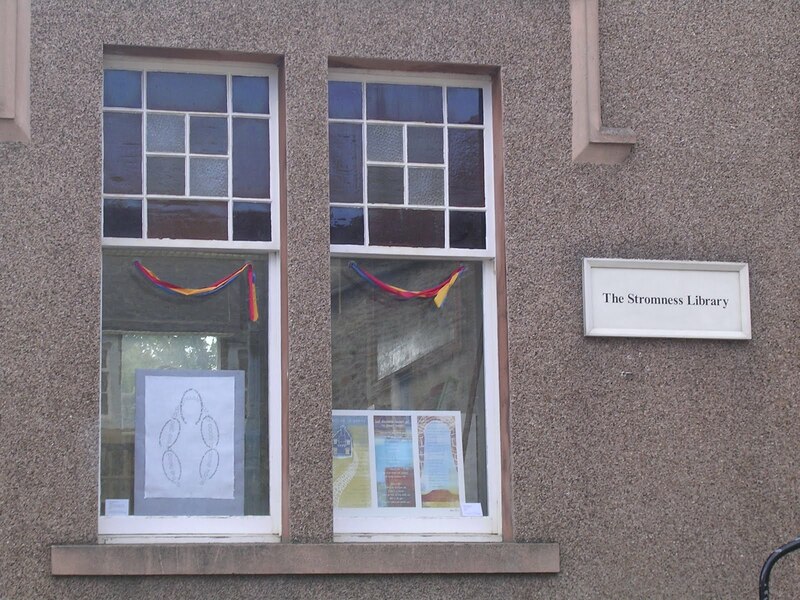 So, like a child bursting to tell you what is in the parcel they've just given you, we are longing to tell you all about the plans for the lovely new Stromness Library. 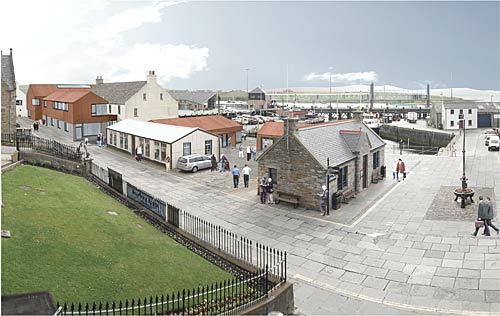 Luckily we will only have to contain our excitement until Tuesday 15th March, when the plans for the Pierhead Regeneration, which includes the new library, will be on public display at the Stromness Townscape Heritage Initiative offices at the Old Academy in Stromness from 6pm-9pm. Malcolm Fraser Architects will be giving a formal presentation between 6.45pm and 7.45pm, but if you can't make it along to the public meeting and presentation there will also be a chance to see the plans at the Stromness cash office before the evening meeting.
" A huge amount of thought and effort has been put into the design of the new facility. Additional features such as the George Mackay Brown area of the library will help place the service at the centre of cultural and community life in Stromness." So make a date in your diary and get along for a look - and do please let us know what you think! A reminder that the Reading Group will be meeting tomorrow evening, Wednesday 23rd February at 7pm, to discuss An Anthropologist on Mars by Oliver Sacks. There will be tea and coffee and lovely folk who like a good natter about books - come and join us! 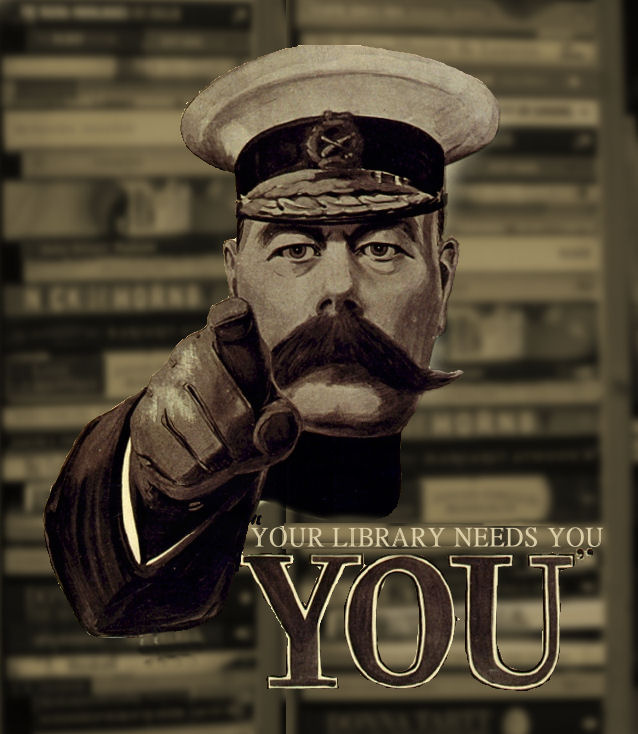 Following our last post encouraging you all to show your local library how much you love it we have discovered the Love Scottish Libraries website which we thought you might be interested in. 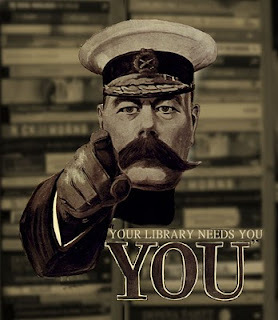 The site has been created as part of a campaign co-ordinated by the Chartered Institute of Library and Information Professionals in Scotland (CILIPS) "to allow the Scottish people to make their voices heard about the future of the country’s library services". The site has a guestbook where you can leave a comment about why you love libraries and a chance to sign an online petition in support of library services. So while Saint Valentine's Day has passed us by without a single card, rose, or chocolate (not even a packet of Love Hearts) it's not too late to show us how much you care. It got a bit windy the other night (122mph gusts - apparently that counts as a hurricane ) so we were a little nervous as to what we would find when we came into work the next day. Thankfully, other than a peedie pile of what looks like bits of ridge tile on the pavement, the library has come through unscathed. Unhappily this cannot be said of many other libraries across the country, which face massive cuts and closure due to the current economic climate. Today is Save Our Libraries Day and across the country folk are supporting the campaign by taking part in read-ins, mass borrowings and storytelling events. 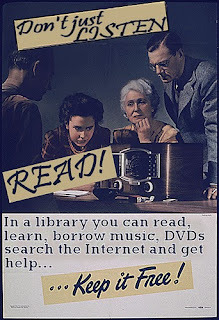 ﻿All libraries improve with use so make sure you visit your local branch regularly and spread the word. Hope you haven't missed us too much over the festive break. If, like us, you are feeling the effects of having indulged in one too many mince pies, or made a rash resolution to get fitter, read more books or learn a new skill in 2011- cross-country skiing perhaps? 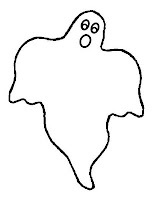 - then we are almost certain to have the very book you need to help you in your quest.